When you want quick target acquisition at both short and medium ranges you need some additional magnification. The Athlon Prism red dot scopes give you great versatility. This device is equipped with a Prism for crisp, vivid imaging. The prism-based design allows for a more compact scope without sacrificing optical quality. With this longer focal length we can achieve the magnification needed to reach out and touch targets at longer ranges. The Athlon Prism Red Dots are nitrogen-filled, fog proof and shock proof, allowing for reliable use in a wide range of environments. Selectable red/green illuminated reticles with intensity levels to match specific conditions. The reticles are etched directly on the glass to make sure you have consistent point-of-aim at all times, whether you have the illumination on or off. The scopes come with lens covers and a Picatinny rail mounting bracket for AR s with a flattop. 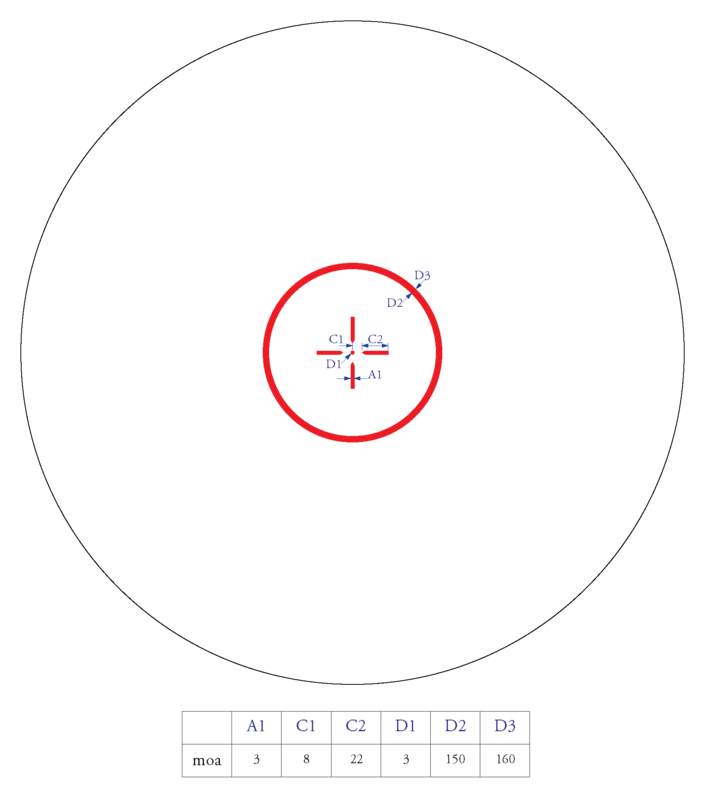 The Midas BTR PR11 Model has an APSR 11 reticle in it. Please click the link for detailed reticle subtensions.